An assistant referee was allegedly told to fix a forthcoming Barcelona match, according to a complaint lodged to anti-corruption authorities in Spain. The official's lawyer, Jacinto Vicente Hernandez, told BBC Sport his client claimed he was approached by a colleague to favour Barca's opposition. 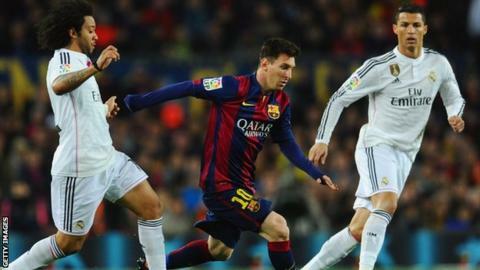 Spanish media claims, which could lead to a La Liga match-fixing scandal, suggest November's El Clasico against Real Madrid was the targeted match. Neither official has been identified. Barcelona vice-president Susana Monje said: "I hope it does not prove to be true." Real have refused to comment. Spanish police have also been informed of the allegation.